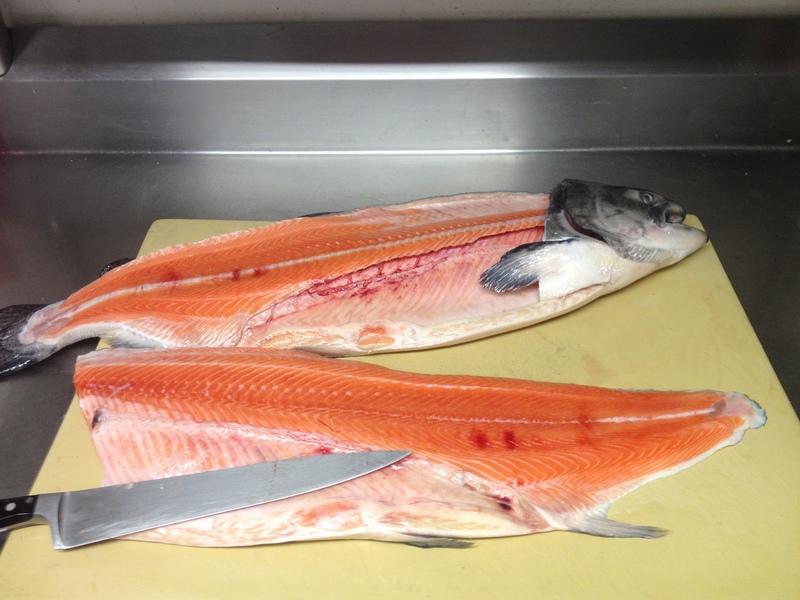 One of the reasons I think our fish is so good at Rory’s is we frequently get the whole fish and filet it ourselves. 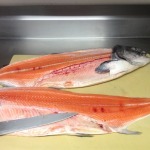 I know that it takes me longer to filet a salmon than one of our purveyors, but I put in the time to do it right. I take care with each cut to make sure that the filet remains intact. With needle nose pliers I remove all the pin bones, and double check to make sure I didn’t miss any. Each portion is then cut and weighed, before it is cooked and presented to the customer. Frequently, we will take those fresh cuts we can’t use and make a tartar as a special treat for all our happy hour regulars. When we filet the whole fish everyone ends up winning! Everyone tells me our clam chowder, which has won numerous awards, is one of the best they have ever had. This is always followed by the question; “What’s your secret?” Like everything we make at Rory’s, the secret is the care the chef puts into each pot of chowder he makes. All the fresh vegetables are hand cut then sautéed. We add some sherry and let it reduce. Then we add fresh, juicy clams; half and half; and fresh dill. We always give it a taste and adjust the seasoning to make sure it is up to our standards. So delicious that sometimes I take a cup of clam chowder for the ride home.